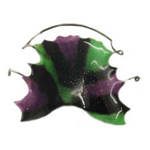 Essix retainers are clear retainers that fit over the entire arch of teeth. Everyone gets retainers after their braces come off. If retainers are worn properly teeth will not shift. We consider wearing retainers or maintenance the most important phase of treatment. Essix retainers are a more advanced way to hold the teeth in place, more comfortable, less bulky and noticeable than hawley retainers, which have a wire across the teeth. Remember to keep your retainers clean by brushing them with your toothbrush and toothpaste or liquid soap. Retainer Brite cleaning tablets are also highly recommended in addition to brushing your retainers. You can order Retainer Brite online. Remember never wrap you retainers in a paper towel, tissue or put them in a cup as they can easily be thrown away. Always keep your retainers safely stored in your retainer case when they are not in your mouth. Dogs like to munch on them so keep your retainers out of reach from animals. We want to see how your retainers are fitting so bring them with you to each visit. Remember also, teeth have a great memory and want to go back to their original position. Make it a habit to wear your retainers 12 hours a day always. Yes, that means for your entire life! If you follow all the rules you will have a beautiful smile forever! A bionator is a removable orthopedic correction appliance. 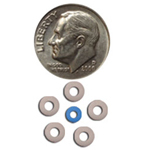 Bionators are loosely fitting acrylic appliances that are excellent for achieving both vertical and horizontal correction, which means the appliance opens a deep bite and corrects overbites. Bionators can also have an expansion screw that can help expand the arches as well. Bionator therapy is recognized as being a phase I treatment. The success of this treatment relies on the patients willingness to wear the appliances. If patients are not motivated the appliance is contra-indicated. When properly worn we see great results! The twin block appliance functions just like the bionator appliance but instead of being one piece it is made up of two components, an upper and lower acrylic plate. They work together to posture the lower jaw forward. 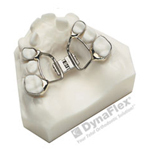 Twin blocks are used to achieve both vertical and horizontal correction, meaning it opens a deep bite and corrects overbites. An expansion screw can also be added to widen the arch. Compliance is key to success with this appliance. 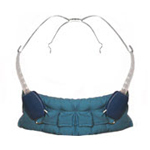 Patients should be motivated to wear this appliance and achieve excellent results. The facemask appliance is a removable appliance for patients where the upper jaw is not growing fast enough, resulting in a crossbite or underbite. It is recommended to start the face mask appliance as early as possible because the ability to move the upper jaw forward diminishes more and more as the child gets older. The face mask is a very specialized appliance that can move the deficient or underdeveloped upper jaw forward into a better balance with the lower jaw correcting early under bite , establishing better bite function and development, and improving the child’s jaw balance and overall facial appearance. The device consists of a metal bar attached to pads on the forehead and chin with rubber bands hooked to the face mask and upper braces to gradually move the upper jaw forward. Patient compliance is extremely important as the face mask must be worn a set number of hours a day to obtain the desired results. Headgear is sometimes used to correct an excessive overbite. Headgear is a general name for a type of appliance that creates special forces for guiding the growth of your face and jaws. Make sure you wear your headgear as directed…as it only works when you wear it! Always remove your headgear as you were taught. The headgear could injure your eyes, lips or face if not removed properly. Remove your headgear before playing any sports or rough games. Be careful to prevent anyone from grabbing or pulling your headgear. Bring your headgear to every appointment. Your teeth may feel tender or even slightly loose when you start wearing your headgear. This tenderness is normal and will disappear as you adjust to your new appliance. If it continues to be uncomfortable, please let our office know. The lower lingual holding arch consists of two metal bands attached to the lower first molars, connected by an archwire adapted to the inside of the lower teeth. This is a fixed appliance which means it is cemented in the mouth. This appliance is used as a space maintainer and prevents the lower molars from moving. When wearing a lower lingual holding arch you should avoid chewy, sticky, and hard foods hat may loosen the appliance. Brush well around the appliance to avoid cavities. Initially your teeth may feel a little sore for a few days after the placement of your appliance. Speech my be affected for a few days after the appliance is cemented. Try to read a book out loud or talk a lot so the tongue gets used to your new appliance. If the bands are irritating your tongue or cheeks, place some orthodontic wax on the band and call the office so we can make it comfortable. Call us right away if the appliance feels loose or is broken.